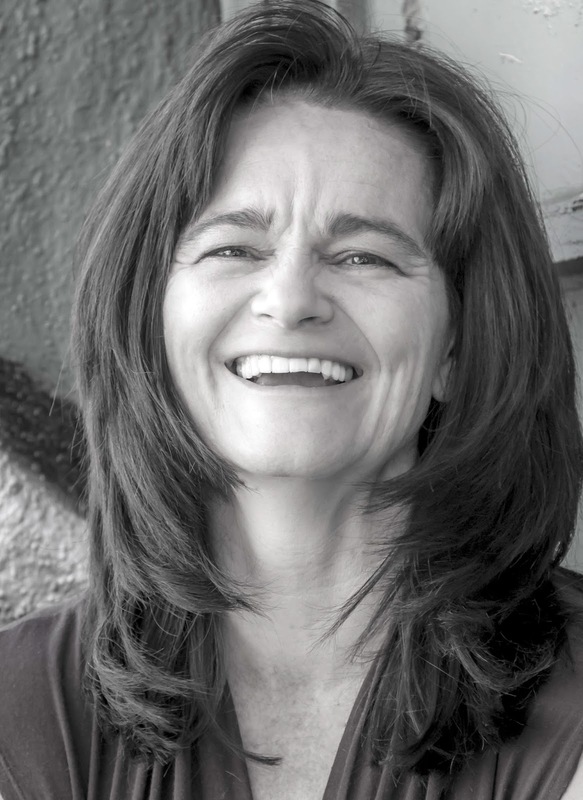 Connie Voisine lives in Las Cruces, New Mexico, where she is an associate professor of English at New Mexico State University and a director of La Sociedad para las Artes. In 2012, she was a Fulbright Scholar at the Seamus Heaney Centre for Poetry at Queens University in Ireland, and is currently back in Ireland on sabbatical. Calle Florista is her third book. Her second book, Rare High Meadow of Which I Might Dream was a finalist for the Los Angeles Times Book Award. Her first book, Cathedral of the North, won the Associated Writing Program’s Award in Poetry. She has poems published in The Georgia Review, Ploughshares, Poetry Magazine, Black Warrior Review, the Threepenny Review, and elsewhere. Her work was featured at The Lab at Belmar, a museum show pairing prehistoric stone tools with poems. Connie grew up in a Franco-American community near the Canadian border in Maine, and earned a BA in American studies from Yale University. She studied at the New School and the Writers Studio in New York City, before earning her MFA from the University of California, Irvine, and PhD from the University of Utah. Interviewer’s Note: I first met Connie Voisine in 2009 when she and ten other Franco-American poets anthologized in French Connections: A Gathering of Franco-American Poets, graciously agreed to be interviewed for a paper I delivered in Montreal at a conference on Canadians in the United States. In 2011, an adaptation of the paper was published as “Writing an Ethnic Identity between Worlds: Claiming and Maintaining a Franco-American Self,” in The International Journal of Canadian Studies. Since then, I have moved to Albuquerque, New Mexico, some three hours north of Las Cruces, where Connie lives and works. When she announced the publication of Calle Florista, I approached her about reviewing the book. Her response: Thanks…. We have that French/New Mexico thing going. We do, and I love it! Since Connie is in Ireland, we conducted this interview via email. LEBLANC: Hello,Connie. I hope you enjoying your time in Ireland. For this interview, I decided to use your current book as a springboard for broader questions about the arching POV I found in the book and your online interviews/talks. Thanks for your time and generosity in responding to these questions. LEBLANC: I know our 2010 research interviews that you, like me, grew up in a working class Franco-American community. While I grew up in Massachusetts, you grew up on the US/Canadian border in Northern Maine where it’s practically just a matter of walking across a bridge to go from one country to the other, and French is an everyday language. In fact, from the 18th to early 20thcentury, our ancestors moved back and forth across northern US borders for work and family, much as present day Mexicans and Mexican-Americans cross southern US borders. Poems, such as AS WELL AS YOU CAN, suggest your sensitivity to the post-colonial/border/immigrant experience. Others, like AMBIDEXTROUS, suggest the tensions between a working class way of engaging life, and the more refined entitlements and behaviors expected in society’s educated circles. What were your intentions with these poems? How has your heritage informed your sensitivities and interests in your studies and writings? VOISINE: Having relocated from one border to the other, I became fascinated by New Mexico’s landscape—a completely different imaginative space than Maine’s Canadian border. Southern New Mexico’s historical relationship to Mexico (prior to 1848, it was part of Mexico) produces a kind of splitting and friction, one with human, economic, and political consequences. I find myself writing into understanding, or in order to understand. Having grown up in a border community, I feel the similarities and differences acutely. LEBLANC: The NM State News Center article (http://newscenter.nmsu.edu/Articles/view/7781) announcing your 2012 Fullbright at Ireland’s Queen’s University, Seamus Haeney Centre for Poetry quotes you as saying, “There’s a lot of conflict historically in Belfast between people who supported British rule and those who didn’t. It’s a border city of sorts and living on the border ourselves, it will be interesting to see how another artistic community deals with borders.” The French in Canada and the US have had their own difficulties with Les Anglais, difficulties of which few Americans are aware. On the other hand, the difficulties citizens on both sides of our border with Mexico have had is the stuff of daily news reports. You have lived and studied in at least three border lands: Maine, New Mexico, and Ireland. Your poem, THE ALTAR BY GEORGE HERBERT, suggests you have also spent extended time in Mexico. It seems to me there are many kinds of borders besides the geographical borders: political, gendered, class, racial, ethnic, etc. How does the concept and reality of borders inform your writing? What insights have you garnered about the similarities and differences about border issues? How these issues are addressed in literature? How do your insights reveal themselves in your writing and other work? VOISINE: Moving to New Mexico made me aware of how careful I must be when writing about place. Having come from an insular, very specific culture myself, I am sensitive about cultural appropriation. There’s a huge risk when we graft our own imported-from-elsewhere feelings and experiences onto the experiences of others—maybe it’s how we at first connect, but it’s not the deepest connection. My basic strategy is poetry as praxis, maintaining an active, open empathy through connections to my immediate community. Anybody who’s been to my house knows that often people call on us for all kinds of reasons. Being from small town Maine, related to just about everyone one way or another, I was well trained in the habit of connection, community, and helpfulness. The other parents at school, my neighbors on my street, the dog walkers in the park across from my house are necessary to my poetics. Maybe I make a small town out of wherever I live. This is as essential to writing for me as anything else. LEBLANC: In the video of your lecture, “The Riddle in the Lyric Poem” (https://www.youtube.com/watch?v=ZtcApGOm-DU) , you say a number of interesting things. The riddle creates “discord between myself and the world,” a distance between self and the familiar in which the “ordinary world becomes alien…until the riddle is solved.” You quote Brian Swan: “riddles bring the mind to crisis…; riddles and their answers imply a dualistic universe.” Once solved, in your words, the “object becomes itself again, located…and at the same time made more complex.” SAY UNCLE reads as series of riddles. In the riddle like poem I ADMIT I BELIEVE IDEAS EXIST REGARDLESS, factories, televisions, and defensive linemen make the leap and become manifestations of God, feeling/passion, and the soul. Metaphor clearly runs through this poem, and so does the riddle. Would you talk about the relationship of metaphor and riddle in your thinking and writing? VOISINE: I felt an answer to my initial question of how to write about New Mexico when I started reading heavily in the poets of Eastern Europe: Szymborska, Herbert (Zbigniew), Milosz, Holan, and Flora. These poets guided Calle Florista when I was most stuck. As poets, they manage through a combination of directness and excision to sustain a complex and even private sensibility while cracking the self open to encompass the affairs of a broader world. For political reasons (their years under the USSR had many pressures), these poets used indirection and metaphor to express what was difficult or impossible to express plainly. Through a quality of reserve, we get an echo of personal experience in their poems, but the emphasis is on ambiguity, the casting of thought, ideas made vibrant by their use of metaphor and an intense, personal and sometimes comic voice. Thus we understand something about their lives without confession. Don’t get me wrong—I love the confessional mode and it’s one I have used in various ways in my other books. But again, this mode did not seem the right way to go when I felt like such a minor character in this new landscape, community, contested space. LEBLANC: Poems such as TWO YEARS IN THAT CITY are rich in metaphor, philosophical suggestion, and allusions that bridge the mundane and intellectual ponderings. Would you talk about the influence of theatrical, philosophical, theological, anthropological and linguistic studies in your thinking and writing? VOISINE: Because of this project, I wrestled with larger poetic questions: if writing lyric poetry is an embrace of an utterly personal process of defamiliarization, how does a poet negotiate the philosophical, social or political? In order to comment on the political, the poet must begin the poetically dangerous practice of generalizing. But how could I claim the specifics of New Mexico as my own to combat the generalizing—who am I to do that? Also, frankly, I was getting tired of the alienated, tragic speaker as a mode in my own work and the work of others. I wanted emotional engagements. On the other hand, I do love a rhetorical poem. In the end, I see this book as full of rhetorical action—but it happens through metaphor, I hope. It’s the metaphor in those Eastern Europeans that gives the arguments feeling (and ambiguity) by creating an emotional texture, a context of objects and experience. LEBLANC: In reference to her visionary art, Meinrad Craighead, the great New Mexican artist and former contemplative nun has said that, “once a Catholic, always a Catholic,” even though she no longer affiliated herself with the institution. Poems such as ANNUNCIATION and THE ALTAR BY GEORGE HERBERT, read as reflections on spiritual issues. How does the spirituality of your Roman Catholic heritage inform your interests and writing? VOISINE: Oh, she’s right, that Meinrad Craighead. I am not a practicing Catholic, but culturally I’m a Catholic and always will be. Even if I found another religion that suited me, I can’t imagine converting. (I know it’s absolutely right for many people, but not for me.) Catholic stories are a part of who I am, the magic that many of those stories create is too. What is a miracle but magic made meaningful in the world? (Again, I don’t want to offend believers but that’s how I’ve come to see it.) A certain acceptance of suffering and poverty is instrumental to the Catholic faith as well, for better and for worse. Recently I went to a first communion ceremony which was lovely and I felt that, believer or not, this is my tribe. I have tried to reclaim what I can of Catholicism even though I am not a believer anymore. It’s still my mythology, my image-world, still an orientation to many things in world. LEBLANC: Would you tell us a little about your impressions of Ireland, and what you are working on during your current sabbatical in Northern Ireland? VOISINE: We recently went to Kerry from Belfast, where we are living now and I was reminded that Northern Ireland is very different from the south. The landscape is similar and there are many aspects that overlap, but the country’s history since partition is so vastly different. I have a book in progress set in Belfast—one long, book-length poem—which I began last time we lived here, in 2012. You might think that here I am again, wondering how to manage the fact that the place in which I live is not my own. I’m, as they would say here, a “blow-in.” I think, and I don’t want to jinx it, that this next book is about neighbors in more obvious way than Calle Florista, and Belfast can be seen as a place where notions of community have really been negotiated and renegotiated. The Good Friday Agreement between Catholic and Protestant organizations, signed nearly 20 years ago, wobbles, threatens to fail, and then rights itself over and over. Public housing and education is still segregated. Yet, peoples’ lives are intertwined in so many ways. As always. LEBLANC: Your webpage also indicates that you spend your summers in Chicago—another northern US border town historically influenced by French immigrants, and now populated by many Hispanic immigrants. What is your work while there? How do your rotating residencies along our northern and southern borders inform your “border” consciousness” and writing? VOISINE: Mostly we started going there for personal reasons: my husband, the writer Rus Bradburd, is from Chicago and my sister, a scientist, Cindy Voisine, lives there too. Both Rus and our daughter are traditional fiddlers and there are so many opportunities to play with fabulous musicians in that city. Rus’ most recent project is a book about his friend who was shot and paralyzed on the west side of Chicago, a victim of the rising gun violence in that city. There are lots of other reasons we keep coming back. I like to write in the public library on the corner, where I can look at Welles Park little league out the 2nd story windows.